#Microsoft365 – Irritated by #Windows that always open in a small window, and not expanded (maximized)? 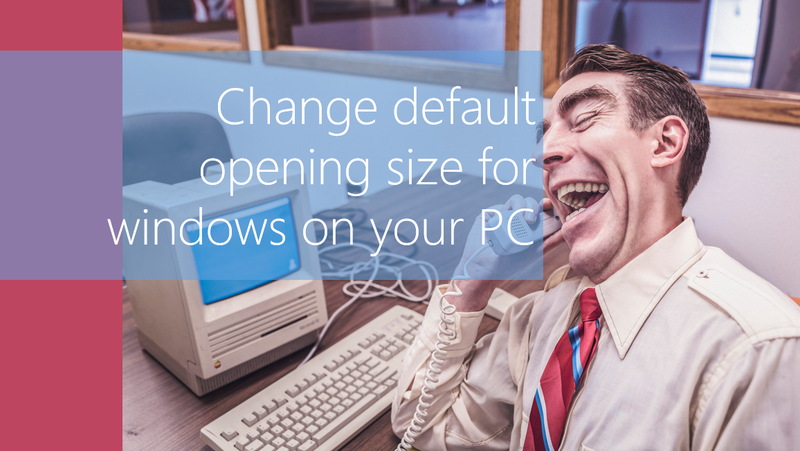 Same goes for #MSOffice applications that open up. Whether you want to open it expanded or not, this is how you set the default. When you open apps / file explorer etc. on your machine, it doesn’t always open in fully expanded mode. Once expanded, close the window while keeping the CTRL button in. Done, your computer has now set a default on how to open that app etc. I know. It’s just another one of those things we didn’t know existed, but makes the world’s difference! This doesn’t work with File Explorer. Next time you as much as snap a window and then close it, Windows reverts to opening File Explorer in a tiny window. It drives me insane! It does work with File Explore? I teach and show my students this all the time? How strange that it’s not working for you?